Blog posted by: Sue Owen, DCMS Permanent Secretary, and Civil Service LGB&TI Champion, 29 March 2019 – Categories: Civil Service Leaders, Diversity and inclusion. 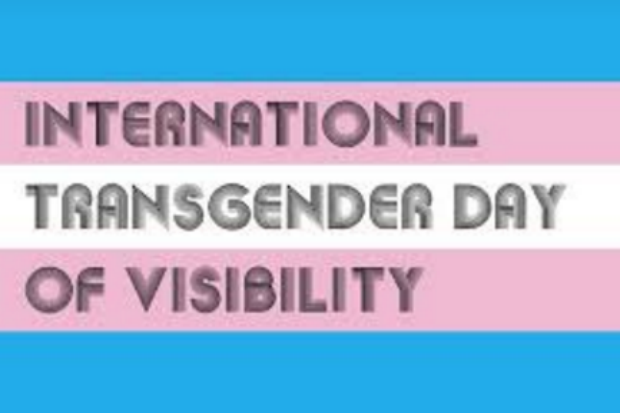 International Transgender Day of Visibility takes place every year on 31 March, to celebrate transgender and non-binary people, and to raise awareness of the discrimination faced by transgender people. This year Transgender Day of Visibility (TDOV) has the theme and hashtag #MoreThanVisibility. Visibility is key to developing an inclusive culture and working environment. If transgender civil servants are invisible in the organisation, individuals will feel isolated. As an organisation we need greater visibility to understand and monitor the experiences of our transgender colleagues. In the cross-government LGBT Action Plan, we have committed to ensuring the Civil Service is an exemplar employer for collecting data on sexual orientation and gender identity in a sensitive, respectful and proportionate way. We are, therefore, working with the Office for National Statistics (ONS) and Government Equalities Office (GEO) to develop standardised questions for inclusion in internal departmental systems, such as HR systems. In my 30 years in the Civil Service, and especially in my four years as Civil Service LGB&TI Champion, I have seen considerable progress in raising awareness of issues for trans and non-binary civil servants, and establishing working environments that are transgender- and non-binary-inclusive. a:gender, the cross-government network for transgender, non binary and intersex civil servants, was established in 2003. As we mark International Transgender Day of Visibility, I must pay tribute to the courage, tenacity and commitment of a:gender members in raising awareness of trans issues in the Civil Service, supporting trans, non-binary and intersex staff and their managers, supporting departments in the development of trans-inclusive policies, and supporting me in my role as Straight Ally and Civil Service Diversity Champion. I have learnt a huge amount from a:gender in relation to transgender issues, non-binary issues and intersex issues. I am confident that, with the commitment of staff networks, of departmental LGB&TI champions, and of the Civil Service as a whole, the Civil Service will become an exemplar employer, role-modelling best practice, to ensure that barriers to inclusion for transgender, non-binary and intersex civil servants are removed. I look forward to seeing this, albeit from a distance. On International Transgender Day of Visibility, let us know what you are doing and join the conversation on social media, using the hashtag #MoreThanVisibility. Blog posted by: Melanie Dawes and Jason Ghaboos, 21 April 2019 – Categories: A great place to work, Diversity and inclusion. Blog posted by: Jo Scott-Nicholls, Anna Seymour and Melanie Dawes, 21 April 2019 – Categories: A great place to work, Diversity and inclusion. Blog posted by: Clare Moriarty, 17 April 2019 – Categories: A great place to work, Civil Service Leaders, Diversity and inclusion. Blog posted by: Jonathan Jones, 15 April 2019 – Categories: A great place to work, Civil Service Leaders. Blog posted by: Richard Spitz, 28 March 2019 – Categories: A great place to work, Skilled people. Blog posted by: Richard Heaton and Sam Balch, 21 March 2019 – Categories: A great place to work, Civil Service Leaders, Civil Service Race Champion, Diversity and inclusion. Blog posted by: Matthew Coats, 20 March 2019 – Categories: A Brilliant Civil Service, Civil Service Leaders, Programme and project delivery, Skilled people. Blog posted by: Julia Longbottom, 15 March 2019 – Categories: Health & Wellbeing. Blog posted by: Iain MacKinnon, 13 March 2019 – Categories: A great place to work, Improved outcomes.